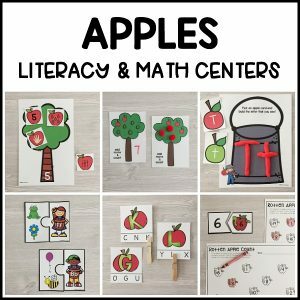 Super simple learning ideas for kids! Keep those little minds growing all spring just like the flowers in a garden! 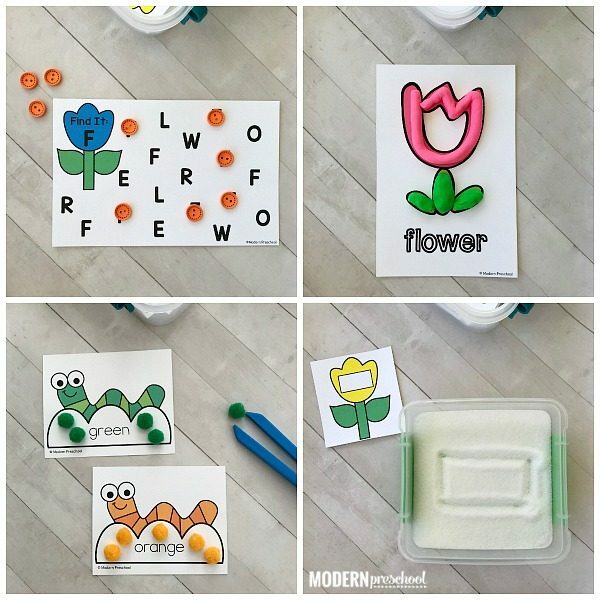 Our printable GARDEN Fine Motor Busy Bins for spring are perfect for your favorite preschool, pre-k, and kindergarten kiddos. 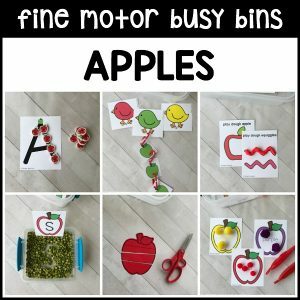 The GARDEN Fine Motor Busy Bins include 12 printable activities that offer fine motor practice for little hands. You need this set! Little hands need lots of fine motor practice to be ready to cut with scissors, hold pencils the correct way, buttoning jackets, opening lunch boxes, and tying shoes! Each busy bin includes a direction and supplies page, and a label for your bin. 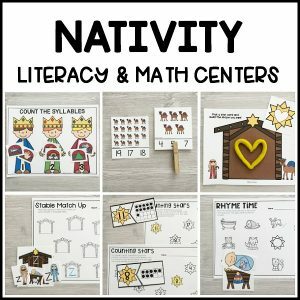 They are set up as completely independent morning work tub activities for pre-k. The busy bins are also perfect to use with younger preschoolers during circle and small group time. The GARDEN fine motor busy bins are the 15th set in our ENDLESS Themed Fine Motor Busy Bins Bundle. 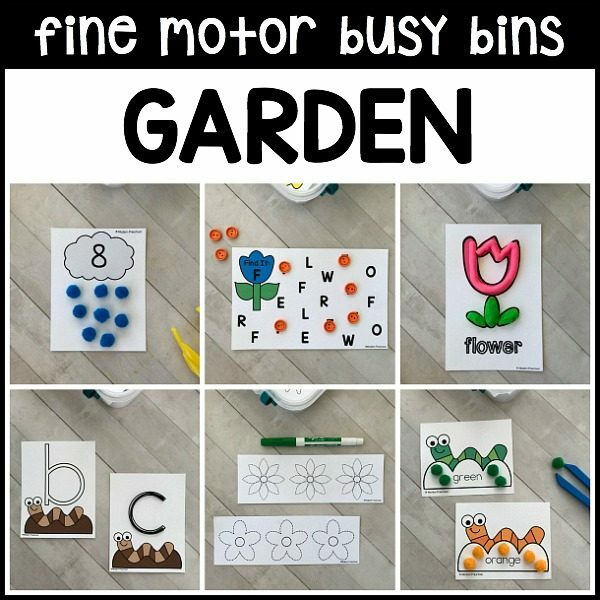 Find details about the GARDEN Fine Motor Busy Bins for spring activity descriptions and extra supply lists below. Check out the images above to see how the busy bins look prepped and ready to go! Print and prep the fine motor busy bins, and store them in small storage containers with lids (mine are from Walmart – some teachers use ziplock or colorful buckets). Switch out the 12 activities each time you switch themes. Yes, we agree. This is such a great idea! What is a busy bin exactly? A busy bin is similar to a busy bag activity. You put the activity together and store it in a bin to be used over and over again. Busy bins are reusable learning activities – prep once and play forever! 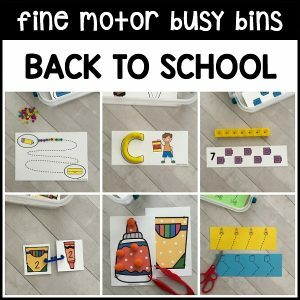 Each fine motor busy bin activity comes with an instruction page and a label for your bin. 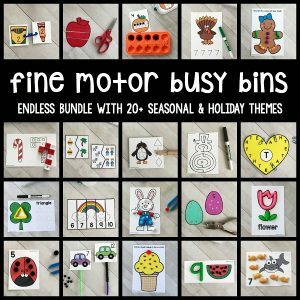 ***This product is part of the Endless Themed Fine Motor Busy Bins Bundle. 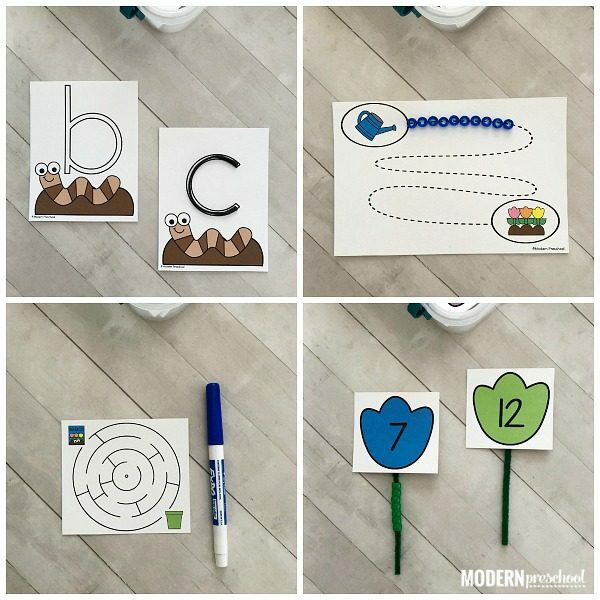 Wormy Lowercase Letters – Bend Wikki Stix (or pipe cleaners) to form lowercase letters while practicing letter formation. Flower Bead Stems 1-20 – Identify the number on the flower and add that many beads to the stem of the flower counting one bead at a time. Linking Uppercase Letters – While matching worms back together and linking them practice identifying and recognizing uppercase letters. Flower Shape Drawing Tray – Pick a flower, identify the shape, and draw it in the drawing tray with a pipe cleaner or pretend flower stem, or your finger. Planting Seeds Mazes – Help the seeds get to the flower pots by following the path through the maze with a dry erase marker. Raindrop Counting Cards – Practice the numbers 1-20 while adding the correct amount of raindrops to the cloud cards. 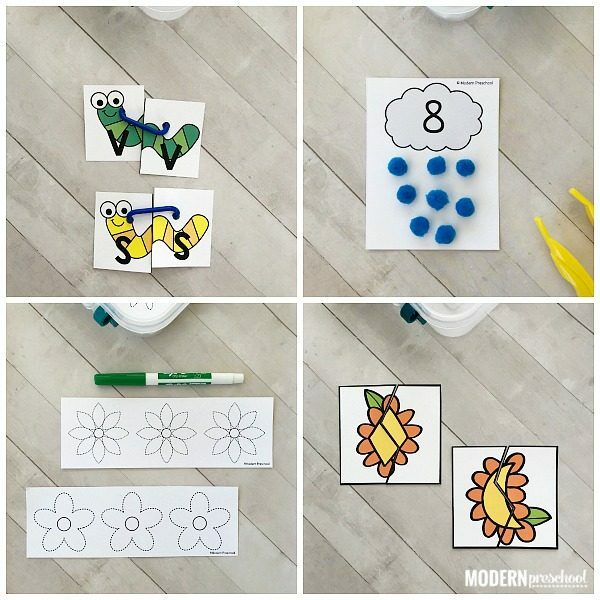 Flower Petal Tracing – Follow the dotted lines with dry erase markers to create flowers and practice writing skills. Garden Play Dough Pictures – Build the garden themed pictures out of play dough. For extra fun, build the the letters in the words out of play dough too. Flower Find & Mark It – Using the letters in the word FLOWER, identify the letter in the flower on the card. Mark all matching letters with a mini eraser or button. Water the Flowers – Get the water from the watering can all the way to the flower garden by building the path with beads. Add a bead one at a time on the dotted lines. Bury the Worm Color Sorting – Add pom pom dirt to the correct worm card by matching the worm color and color word on the card. Flower Shape Puzzles – Match the 2 sides of the flower puzzles together to make a shape. Identify the shape and build another puzzle. Loving everything that’s growing in the garden this spring? Our GARDEN Fine Motor Busy Bins are the perfect partner to our Garden Literacy & Math Centers!